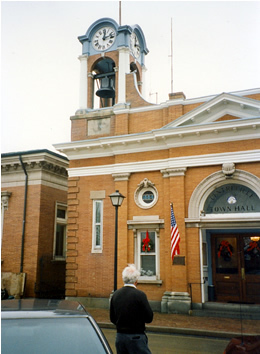 One of the authors standing in front of the Town Hall in Centreville, MD. This is one of many stately and historic buildings in the downtown area that includes Lawyer’s Row. 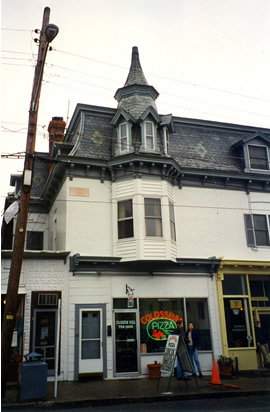 One of the Centreville businesses Ted Slater had on speed-dial. 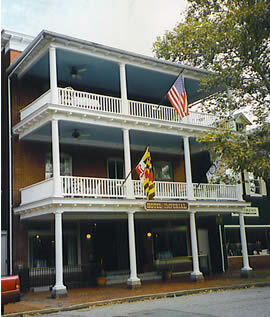 The Chestertown hotel where Mark Sasser claimed to be having dinner with his wife the night of the murder. 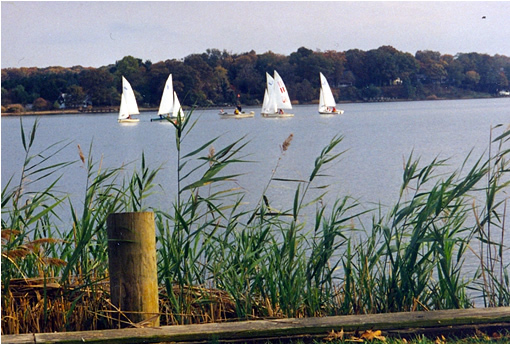 How a West College sailing practice might look. This abandoned skiff lies near the bank of Swan Creek and marks one of Nora and Van’s favorite gunkholes. This green flasher marks the channel into Queenstown harbor from the Chester River. The entry to the harbor is narrow, the harbor itself small and shallow but with a forgiving bottom. Ted Slater’s fictitious house on Queenstown harbor was located at the end of this lane.